Are you ready to experience one of the best flight controllers on the market for fpv mini quads, planes and wings? The BrainFPV Radix is here! 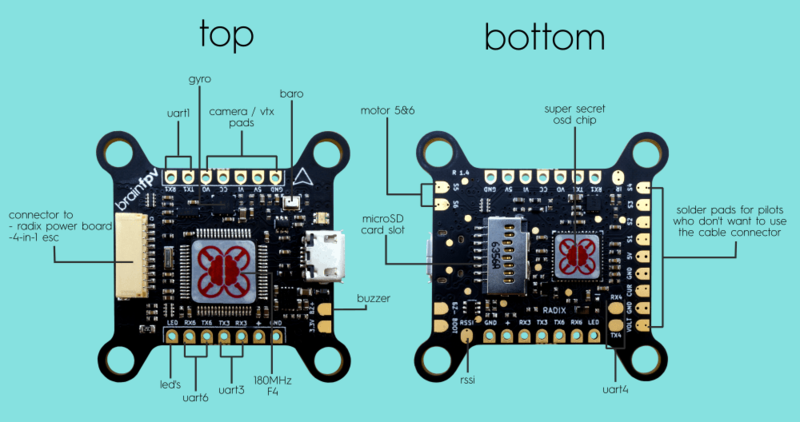 On top of the normal Betaflight OSD, radix on-screen-display gives you extra features you can’t get anywhere else. Proudly show off your pilot and team logo using our logo customizer with just a click of a button. Extra features also include a graphical barometer scale, artificial horizon, gyro spectograph, RC stick display, 3D OSD support and more! Ready to build using the RADIX? Head over to the documentation to find out how!